Buying a car is an exhilarating experience. Having your own set of keys and the liberty to go anywhere anytime is very rejuvenating to say the least. A few months/years down the road, we all come to realize maintaining a smooth running engine is a different ball game. One of the common trouble areas is the cooling system. Even after c﻿﻿hanging th﻿﻿e piping, coolant or w﻿﻿ate﻿﻿r in the radiator your cooling system can persistently fail. Symptoms of failing cooling system include constant heating, water/coolant leakage, discoloration, low coolant or water levels. Any of these should raise a red flag – over-heated engines are no laughing matter. There is an answer – you could buy a new car; spend a ton on a new cooling system or take some time learn how to burp the cooling system. An air pocket trapped can cause all sorts of mayhem – uneven flow of the coolant is often the reason things go awry after running the engine a few miles. Dex Cool is recommended but the stores always have something new. Ask the shop attendant, feel free to experiment and comment on your experience. 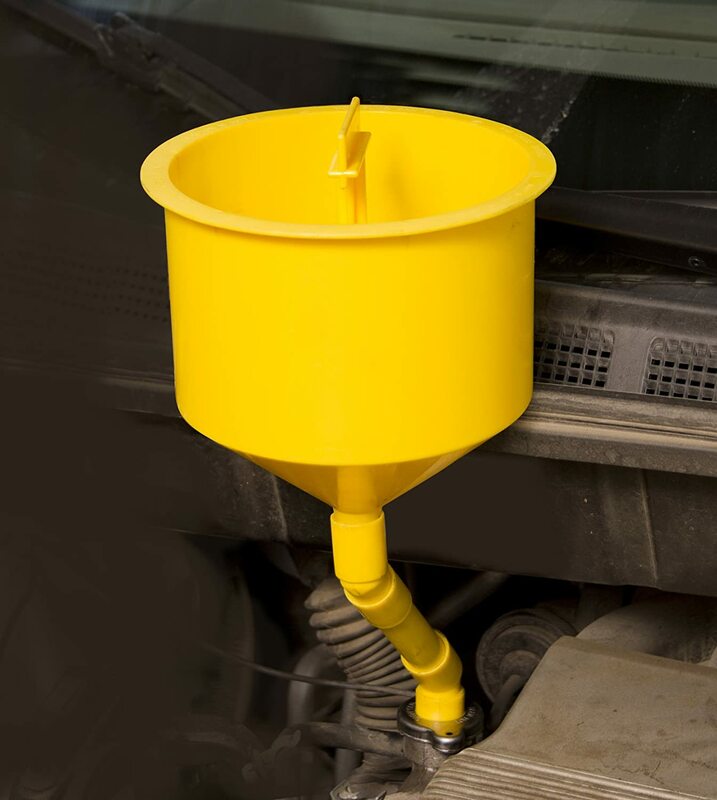 Looks like your everyday funnel with a small nozzle that fits into the top of your radiator cap allowing you to cover the cap and still add the liquid. Micro fiber is readily available and will keep your car clean without scratches. Make sure that the car has sat idle long enough for the engine to cool. This procedure will not deliver the optimal result you are seeking on a warm engine. Also, you want to check that the overflow tank is at the level of coolant marked COLD. If all the above are done open the radiator cap and insert the angled tip of the spill free funnel into the cap – then attach the main piece of the funnel. Before proceeding, you need to confirm all connections fit snugly so there is no leakage. This is important given you are looking for leak whose cause could be anything/anywhere – even the radiator cap. The just over half mix in the funnel will indicate rising and falling levels once the vehicles thermostat is operational. The rising/falling is simply due to the need for air bubbles to escape as the thermostat periodically kicks the cooling system on and off. NOTE: The vehicle should still be OFF do not start the engine. Enter your vehicle and adjust climate control settings HOT and make sure the Fan/Heater with remain in OFF position. The HOT setting will push the cooling system to the limit while the fan/heater will ensure your coolant is not adjusting internal temperatures. If all this is done START the engine. Once the engine is running, relax and give the system time to rid itself of excess air. Emitting all the air bubbles requires your vehicle to run through several air cycles (thermostat ON – OFF states). Rule thumb suggests the engine should run an hour for accurate results. If there are air bubbles after this check the overflow tank to ensure it has coolant. 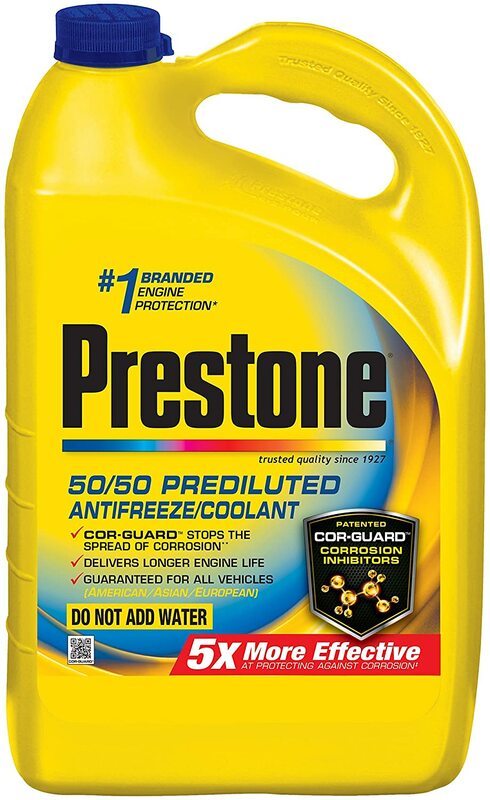 If the tank is empty, add some till it reaches the HOT level – because the engine has been running for some time. Let the engine run once more and let the system expunge any remaining bubbles. When this happens turn off the engine. At this stage, you can safely assume your problem has been solved. Fit the plug that comes with the funnel into the part attached to the radiator cap – stops adding more of the mix into the cooling system. The plug also serves as a handle and should be used to lift the container and fluid off the radiator cap – pour the remaining fluid into a container for next time. With the funnel attachment now empty, unscrew it from the radiator cap and use the rag to clean both the cap and funnel attachment. If you followed the procedure till the cooling system was running without any bubbles you have removed any air pockets. However, your cooling system could still perform poorly. Do not fret because this implies your thermostat is not functioning properly. Have a trained technician test that and if need be replace the thermostat. If this (poor thermostat) was the cause then inform the technician of your burping so that they repeat the process after making the replacement. Vehicle cooling systems are very intricate and could malfunction for a number of reasons. The above procedure checks for air bubbles that may arise owing to leaking components (loose) or rusted – compromised one way or another. Blown head gasket can cause leaking pressurized air from the cylinder chambers to run backwards into the cooling system. In this case, you may experience heating even with the coolant and water at the recommended levels. The pressure within the cylinder chambers is escaping and really churning things up within your cooling system. This poses the greatest risk to your vehicle and cooling system – if you have seen or heard of engines bursting into flames, this is the reason. Either way, you never want to let issues with the cooling system go unnoticed. Poor performance of vehicle cooling mechanisms can really take the joy from driving and turn your life upside down. Its unexpected, filling up the water does not work, which can leave you feeling very helpless. There is a lot to this trivial dilemma and it should never be left to run unchecked. Often the problem is an aging component of the cooling system – but it could be much worse and very hazardous when it is not. When this happens, your cooling system will be operating just fine but suffering due to leakage of the head gasket. The high pressure from the cylinder chamber is running riot and its first victim is your cooling system. When left unchecked a lot more is bound to fall apart sooner rather than later.